Brett Weber has 30+ years of experience in Commercial Real Estate Brokerage in San Mateo County. He has a balanced business representing both Landlords and Tenants and his experience spans Office, R&D, Medical, Retail, and Industrial properties. In addition, working with Partners of John McLellan and Steve Divney and Associate, Mac Hart, the Team has been also focusing on the redevelopment of older structures and maximizing the values thru redevelopment. Brett has effectively worked with clients on revitalizing their existing buildings in downtown office/retail cores. His strength lies in the ability to re-imagine a space at its full potential helping his clients make the most of their space’s usage. Much of my practice is based on the sales and purchases of development sites. My extensive planning background and experience allows me to concentrate on transit-oriented projects for my clients – both the marketing for sale and the purchasing of such sites. I also represent office and R&D tenants in Silicon Valley. High tech, legal, mobile applications, robotics, education and dental and medical practice groups are some of the industries of my clients. My clientele also includes family property owners and tenants in the Mid- Peninsula markets of Redwood City, Redwood Shores, San Mateo, Burlingame, Mountain View, Los Altos, Belmont and San Carlos. Helping developers with assemblage and purchase of properties for development into residential and mixed-use projects throughout the San Francisco Bay Area and the Peninsula is a very enjoyable source of my real estate practice. I have consulted nationwide, on my own and on behalf of privately held consulting companies, for industry leaders in mobile and fixed wireless telecom. Providing advice on FCC regulatory issues and managing teams responsible for drafting and negotiating leases for cellular sites, procuring discretionary government permits, architectural/engineering management, construction project management, legal review and public relations was are area of specialty for nearly 15 years. I represented clients in negotiations for hundred of leases across the country with large property owners such as Boston Properties, Simon Properties and Jones Lang LaSalle. After co-founding a wireless license partnership, I provided consulting services for telecommunications auctions in Australia, Canada and Ireland. John McLellan, a Marin County native, joined the Colliers International San Francisco Peninsula office in 2009. He works closely with Brett Weber, Senior Vice President, who has over 30 years of Commercial Real Estate experience. John works diligently on behalf of his clients to identify their goals and objectives, to arrive at the best real estate solution. He values long-term relationships and conducts business with the highest standards of honesty and professional ethics. Prior to joining Colliers John worked in Commercial Real Estate in Fort Worth, Texas where he focused on the sale and leasing of office properties. 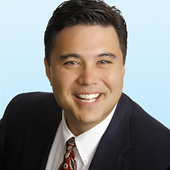 John specializes in Tenant and Landlord Representation in the San Francisco Peninsula. His primary focus is on Office and Industrial properties. By representing the interests of both Landlords and Tenants, John is able to create unmatched leverage for his clients. His vast market knowledge is critical when working with tenants looking for space in the highly desirable downtown cores where the vacancy rates are in the single digits. Due to the fact that John specializes in these submarkets, he is often able to present his clients off-market opportunities. John has a creative vision which gives him ability to look at a building and highlight key features to unlock hidden potential and maximize a property’s value. John also has a calculated prospecting system that helps Landlords lease or sell their buildings quicker and collect top dollar. His interests include golfing and spending time in Tahoe. Mac Hart, a sixth generation Peninsula resident and native to Redwood City, joined the Colliers International San Francisco Peninsula office where he specializes in the leasing and sales of office buildings throughout the downtown cores of the San Francisco Peninsula. He joined Brett Weber, Steve Divney, and John McLellan; a team with over 40 years of brokerage and consulting experience. Mac studied City Planning at Sonoma State University where he served as the President of the Student Association and worked for the County of Sonoma writing draft policies and ordinances for the nine incorporated communities within the county.